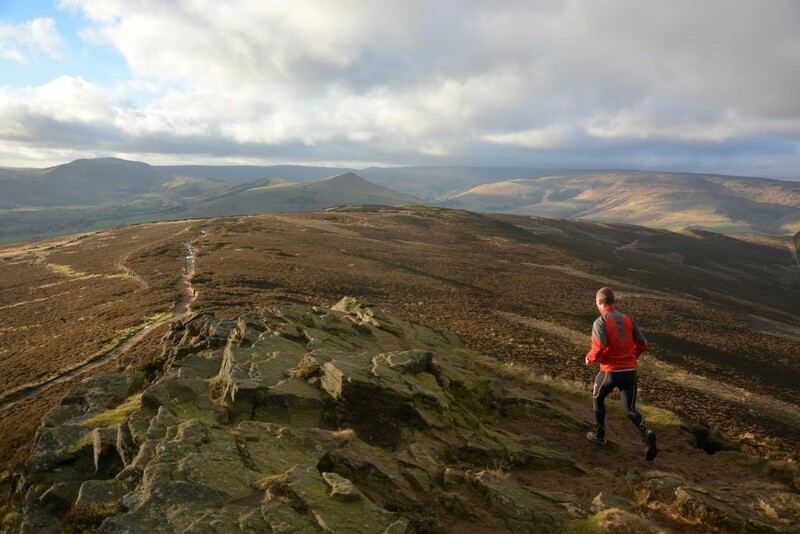 The Peak District has two distinct halves, separated by their geology, each setting the tone for the nature of its running. The wilder, gritstone northern Dark Peak lends itself to exhilarating adventures across open fells and along gritstone edges, whereas the southern, limestone White Peak is home to gentler trails that wind their way invitingly through flower-filled valleys. We were fortunate enough to live here for a year while researching the book and it has definitely established itself as one of our favourite places to run. The sheer variety of landscapes, trails and terrains, at once wild and remote yet easily accessible, lend themselves perfectly to on-foot exploration. Fell racing is hugely popular here, with races most evenings and weekends throughout the summer. Some events are well-signed along clear trails, whilst others take you far out into the fells, requiring good navigation skills. Full details can be found on the Fell Runners’ Association website. 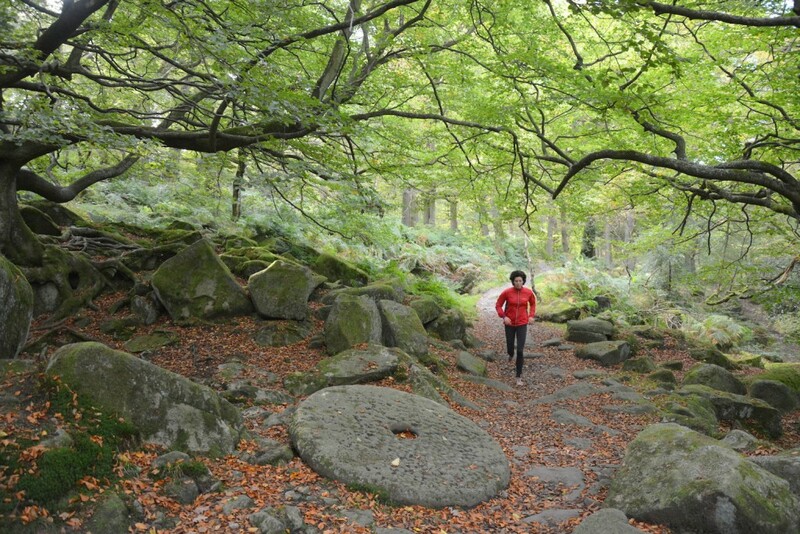 A wonderful run that links the two halves of the Peak District is the White to Dark trail. Despite being a challenging 27 miles in its entirety the route can be easily split into shorter sections and regularly passes through towns and villages for refuelling and bus/train links. 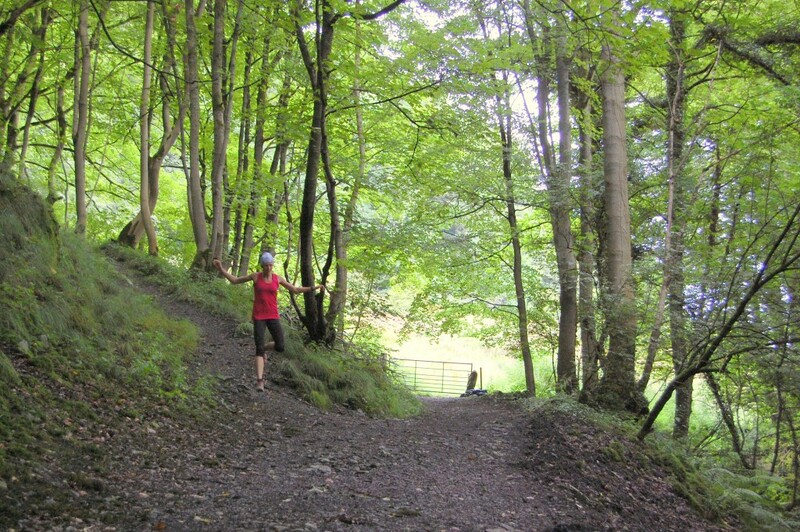 Waymarked throughout, the trail starts in the bustling tourist town of Bakewell, exploring the hidden limestone valleys around Litton before climbing onto remote moorland at Sir William Hill and along an exhilarating trail above dramatic Bretton Clough. Reaching the Dark Peak at the Hope Valley, fantastic, runnable trails take you along the top of Stanage Edge and down to the gleaming crescent of Ladybower Reservoir. The challenge is completed with a tough climb up the shapely form of Win Hill. From the trig point that crowns its rocky summit breathtaking views open out across the Kinder Plateau to Kinder Scout, the highest point in the National Park. Nestled in the valley below Kinder Scout lies the pretty village of Edale, home to the start of the 267-mile Pennine Way which runs from here all the way through the Yorkshire Dales and Northumberland National Park to Kirk Yetholm, just inside the Scottish border. 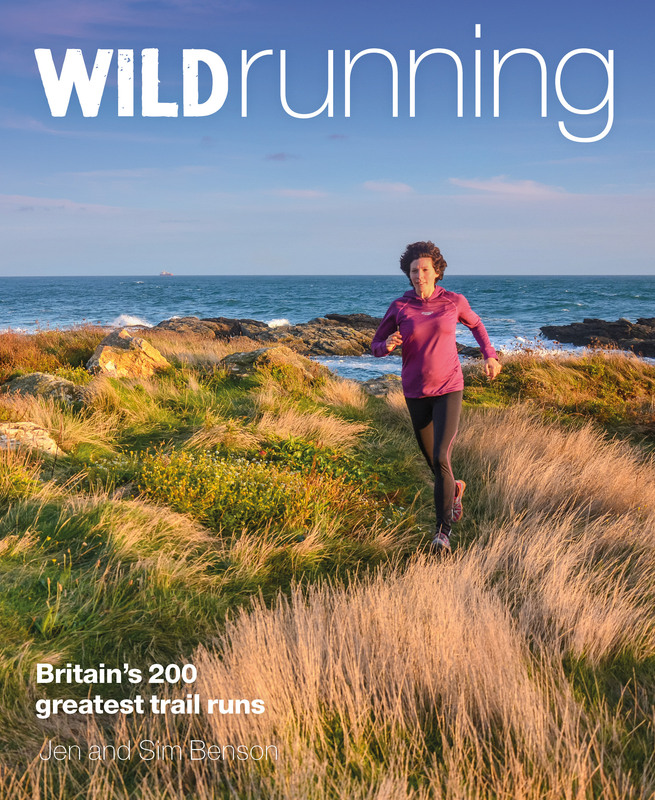 This iconic National Trail, with its many miles of fantastic and generally waymarked running, was the setting for a great ultradistance rivalry between legendary runners Mike Cudahy and Mike Hartley in the 1980s. Hartley’s record of 2 days 17 hours 20 minutes and 15 seconds, set on the 23rd July 1989, still stands today. 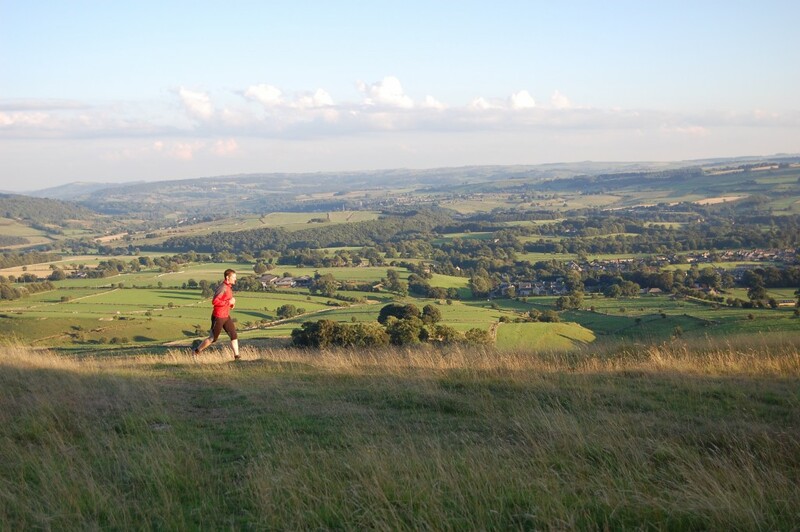 Our run of the month takes in a challenging but fantastic loop of the White Peak, with an exhilarating descent of the wide grassy swoop of Chatsworth Estate, a tough climb onto bleak but beautiful Longstone Moor and a stretch of the Monsal Trail. to reach Chatsworth Estate. Exhilarating descent through deer park to join Derwent Valley Heritage Way. Follow waymarkers N through Baslow and along lane, leaving the Way at sharp L corner. Continue on lane to cross B6001 – CAUTION. Follow steep track up to Longstone Moor, descending to Pack Horse pub (excellent ales from local Thornbridge Brewery). Then cross fields to Monsal Trail and turn L to head back to start. Full route details, including maps and .GPX here.